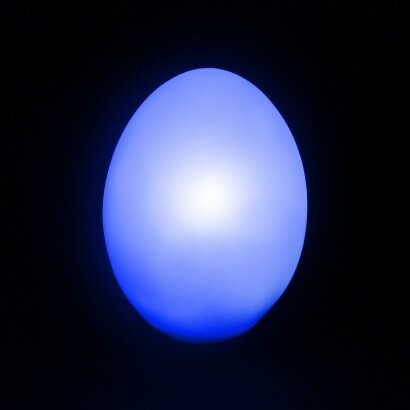 Lit by colour changing LEDs, these unusual egg lights can be placed around your home for soothing decorative lighting and a relaxing atmosphere. Battery operated, this pack of four can be placed in the same room for a spa like feel or placed in multiple areas including kids rooms as a gentle night light. 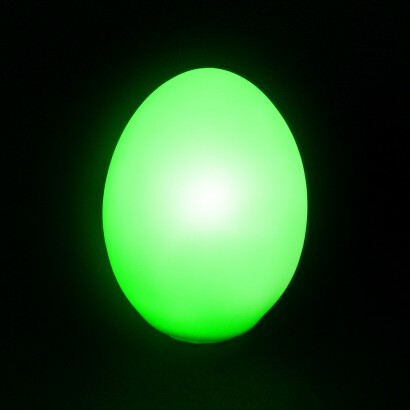 Lots of fun, this versatile little eggs make a great prize for Easter egg hunts and can even be used as decorative party lighting either in or outdoors.